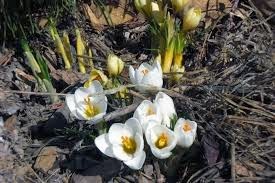 When William Byrd was touring Virginia during May of 1685, he wrote a letter describing the flowers in his garden as being the seeds and roots from iris, crocus, tulip and anemone. Source: Records of Henrico County, vol. 1677-92, p. 284.